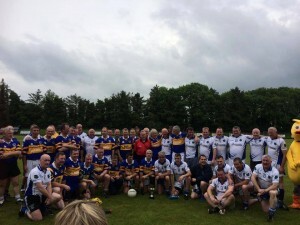 The Maghery GAC football club in Northern Ireland have raised an amazing £6000 for us! This follows a fundraising day on 7th June to raise money in memory of their dear friend, Joe Nugent, who sadly died of pancreatic cancer. The fundraiser was organised by David Nugent, Joe’s brother. Joe was also known as Mr Maghery due to his close relationship with the football club. The day included an over 40s match, sponsored balloon launch and an evening dance. A huge thank you from all of us at PCA!